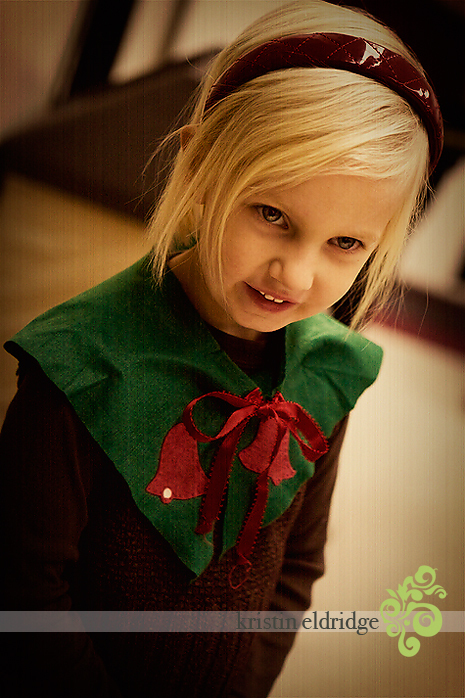 Jillian was in her first Christmas program last weekend. I'm late blogging about it, but I just couldn't skip over it. 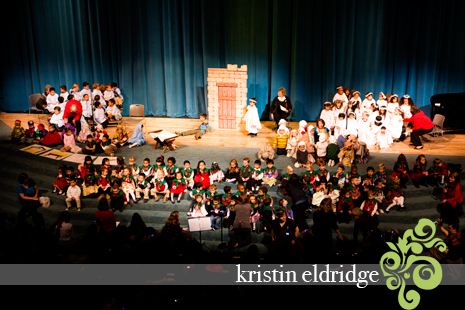 It was amazing to see ALL THESE KIDS up on stage in the nativity scene. 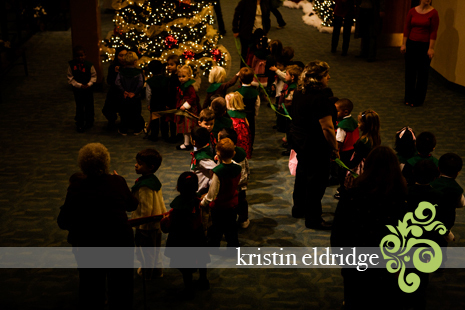 The younger classes (which includes Jillian) were part of the "heavenly choir." Both my boys were in the heavenly choir, so I got a little tear thinking about this being my last time having a child wear this cute little collar. I took these pictures indoors- with lowlight and no flash, so I was playing around with a bit of film grain and a vintage sort of color. 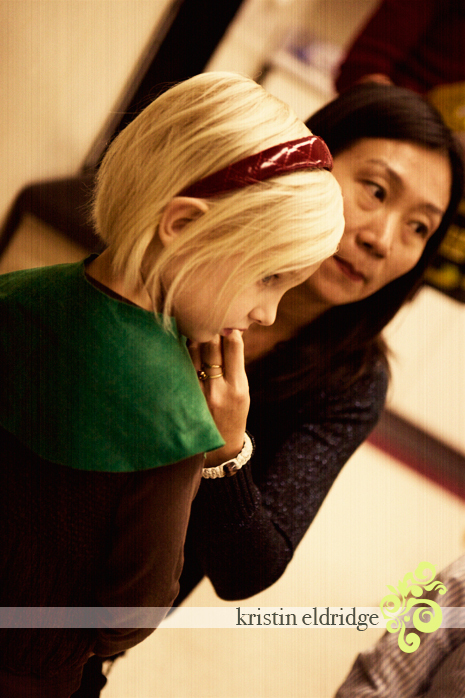 Here is her teacher, Miss Lydia tying on her collar. I bought Jillian this fantastic patent headband to wear for the night and she kept calling it her "husband" instead of headband. Too cute. 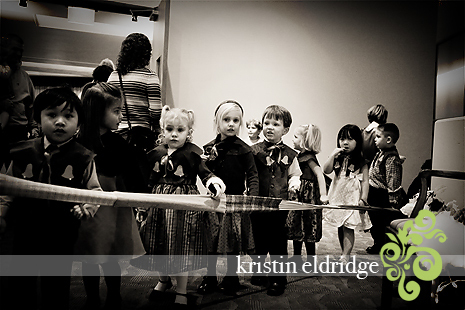 Okay, another favorite part of the heavenly choir is that they all have to hold on to these rope. Imagine dozens of 3 year olds trying to walk in line. Mass chaos. Hence, the rope. 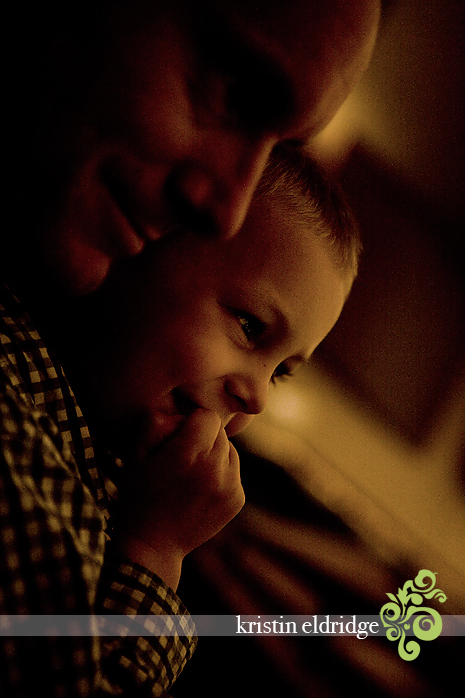 Of course the boys came to see Jillian sing...so here's a picture of Cooper enjoying the show with Brent. 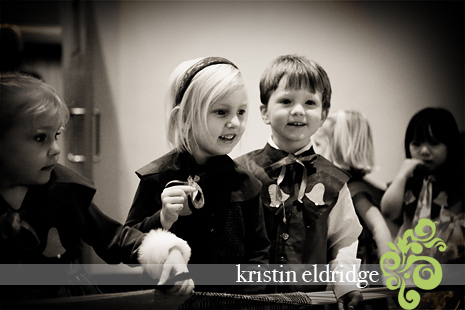 He was the inn keeper last year and remembered all the songs, so he was singing along.